ATM Report: How Artificial Intelligence increases hotel revenues and cut costs? 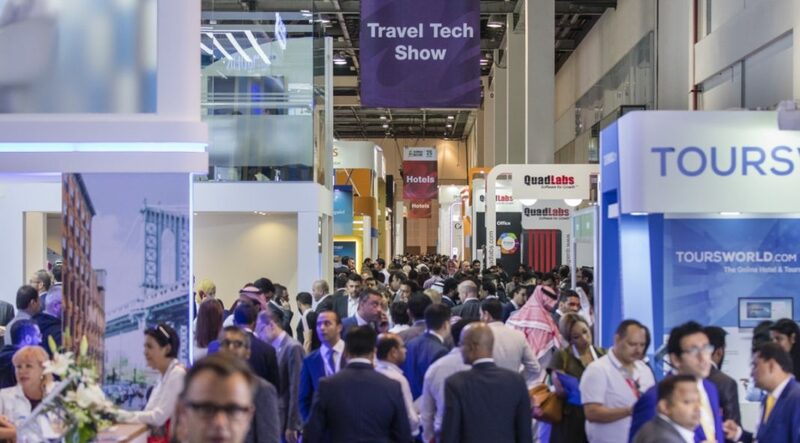 Cutting edge technology and innovation will be adopted as the official show theme for Arabian Travel Market (ATM) 2019, taking place at Dubai World Trade Centre from 28 April – 1 May 2019. According to the latest research conducted by Colliers International, personalisation Artificial Intelligence (AI) could increase hotel revenues by over 10 percent and reduce costs by more than 15 percent – with hotel operators expecting technology such as voice and facial recognition, virtual reality and biometrics to be mainstream by 2025. Further to this, the research estimates 73 percent of manual activities in the hospitality industry have the technical potential for automation, with many global hotel operators including Marriott, Hilton, and Accor already investing in automating elements of their human resources. Danielle Curtis, Exhibition Director ME, Arabian Travel Market, said: “It is important to highlight that the GCC is one of the fastest growing regional hospitality markets on a global scale and an innovative technology-reliant industry. “Its impact on hotels and travel and tourism is multi-dimensional, ranging from voice and facial recognition, chatbots and beacon technology to virtual reality, blockchain and robot concierge. While automation is forecast to replace a large number of jobs, between 39 and 73 million in the US alone, according to a study by McKinsey Global Institute, the report also states that innovative technology will not be a purely negative disrupter. New jobs will be created; existing roles will be redefined; and workers will have the opportunity to further their career with additional training. The challenge, therefore will be preparing for and managing the transition between now and 2030. Curtis said: “With technologies like AI and automation quickly maturing, the hospitality and travel and tourism industry must prepare for a wave of disruption in order to reap the overall benefits of these technologies. Discussing the defining evolutions of hospitality technology, the Travel Tech Show will return to ATM 2019 with dedicated international exhibitors and an influential agenda of discussion and debate in the Travel Tech Theatre. On the show floor, attendees will be able to meet with exhibitors such as TravelClick, Amadeus IT Group, Travco Corporation Ltd, The Booking Expert, Beta Travel, GT Beds and Global Innovations International amongst many others. Looking to the future, the use of robots within the hospitality industry is becoming more commonplace with Colliers predicting the global sale of guest relation robots to reach 66,000 units by 2020. Deployed to improve guests’ overall experience in a hotel, these robots offer a range of uses from artificially intelligent chatbots designed to assist with the customer service process, through to robot concierge and butlers which have the ability to deliver luggage, handle check-in and check-outs and deliver meals 24/7 to guests efficiently. In 2015 the world’s first robot-run hotel opened in Japan. Henn-na Hotel features a multi-lingual animatronic dinosaur at reception that helps with check-in and check-out as well as robot porters and a giant mechanical arm that stores luggage in individual drawers. “Hoteliers have been cautious of technology taking away the human touch from the guest service and experience. However, by giving guests the power to choose every part of their hotel experience, hoteliers can learn the right balance between staff interaction and AI-powered, automated customer service,” Curtis said. “Hospitality is in the business of selling experiences. With more and more AI innovations available for guests to express both satisfaction and grievance, the influence of such technology and the usage of social listening tools are expected to become standard as we move closer to 2030. Community tourism – an alternative approach for Saint Lucia?